This entry was posted in Dietary Restrictions, Vegan, Vegetables, Vegetarian and tagged Austin, Cooking, Food, Greens, Home, Locavore, postaday2011, Recipe, Vegan, vegetarian. Bookmark the permalink. Kathryn, thanks for this terrific post! 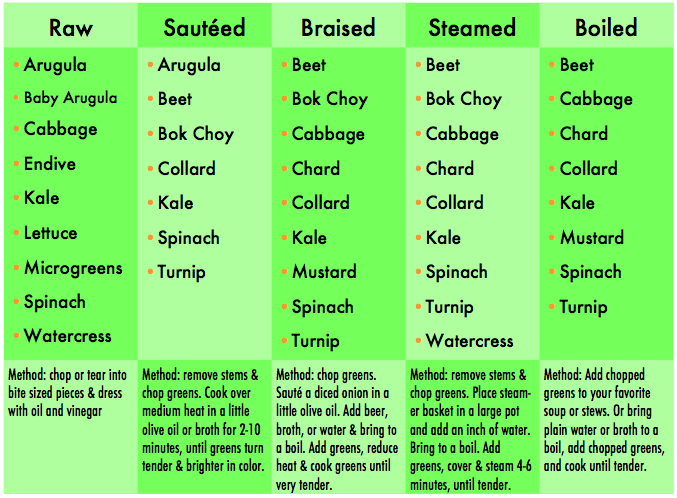 As someone who didn’t grow up eating a lot of different greens, the guide is very helpful. I love sauteed greens but I had never thought to try sauteeing beet greens. We’ve just always eaten them raw with other salad greens. I’m going to give it a try, though. Thanks for planting the seed!